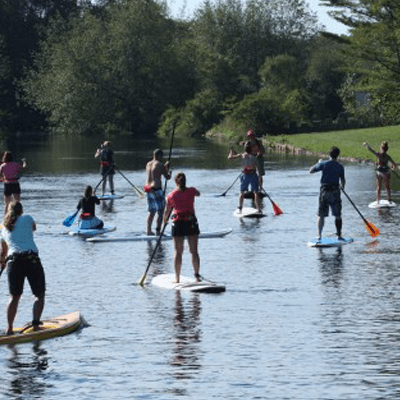 Join Us for Stand Up Paddleboarding! 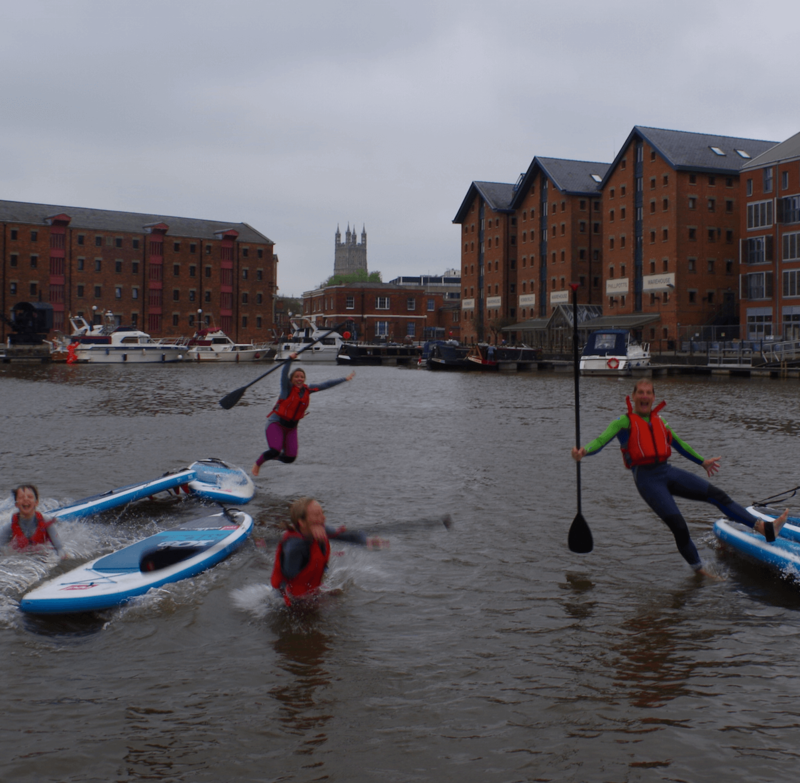 Paddle alongside tall ships and see Gloucester’s historic Docks while trying the fastest growing watersport in the world! It’s fun and easy to pick up, most people are standing up within minutes of hopping on. It’s popular with all ages and a great workout to develop fitness and core strength. 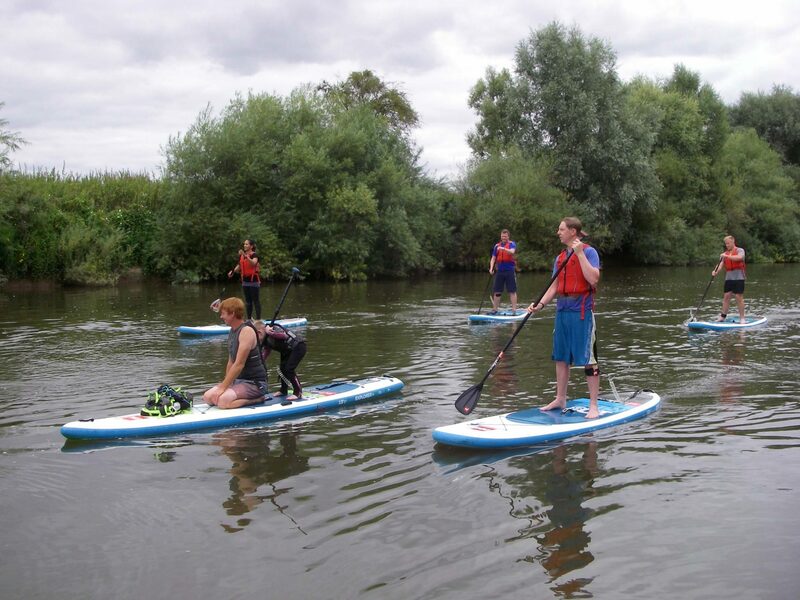 We provide all the equipment required for your SUP lesson including wetsuits if required. 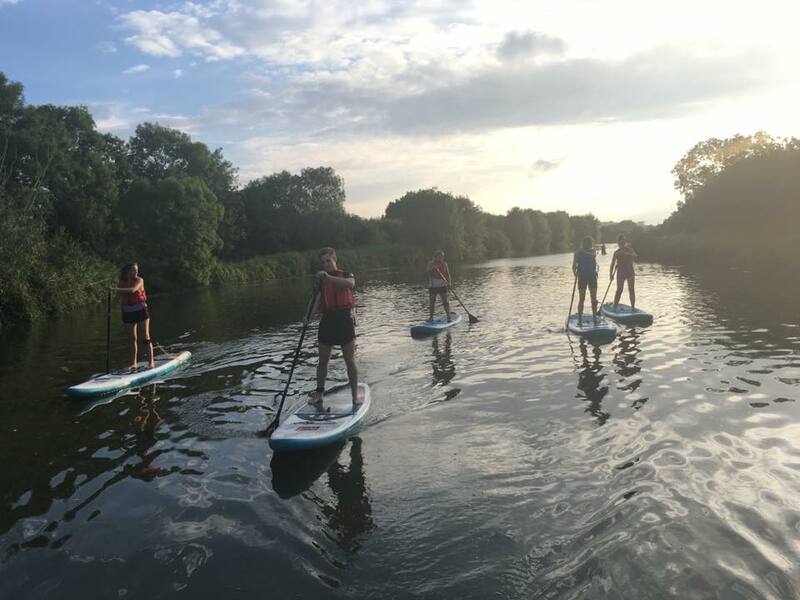 We also offer longer trips down the canal, along the beautiful River Severn and can create your own personal bespoke adventure. 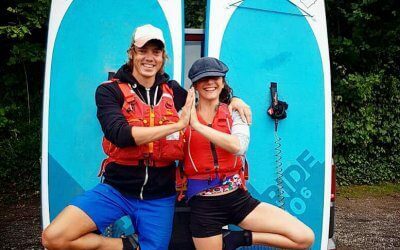 Read more about our Paddleboard Instructor Kev on the about page. 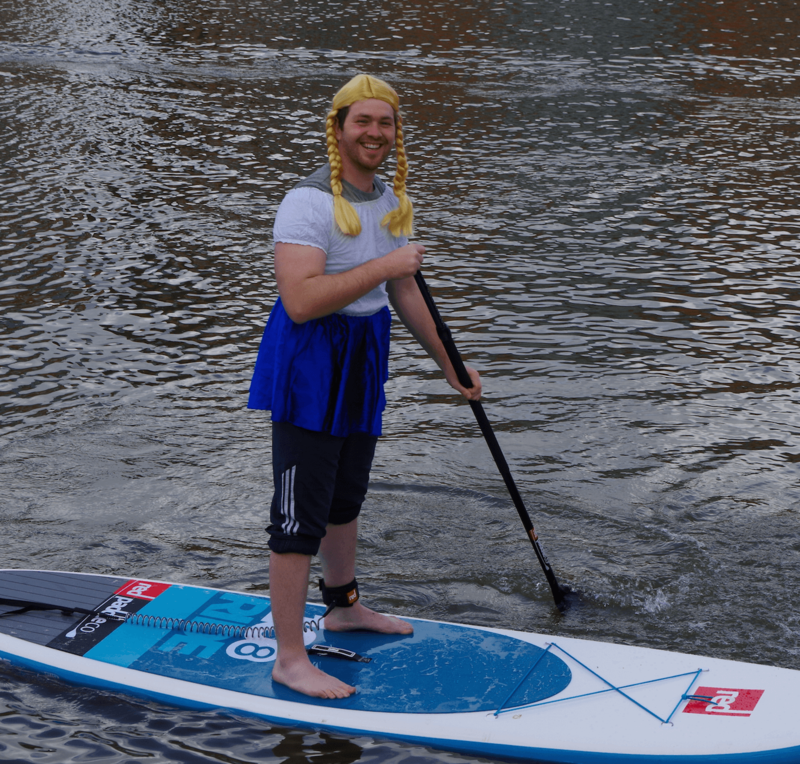 Never paddled before? You’re going to love it. 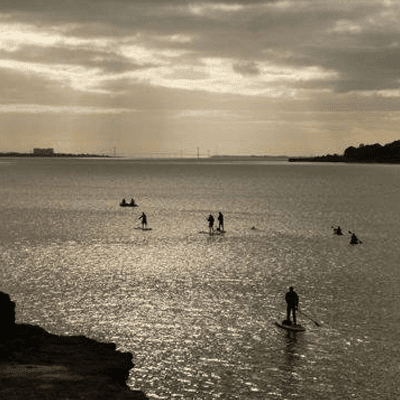 We’ll take you through water safety, paddling skills and board control. You’ll be stood up by the end of the session! 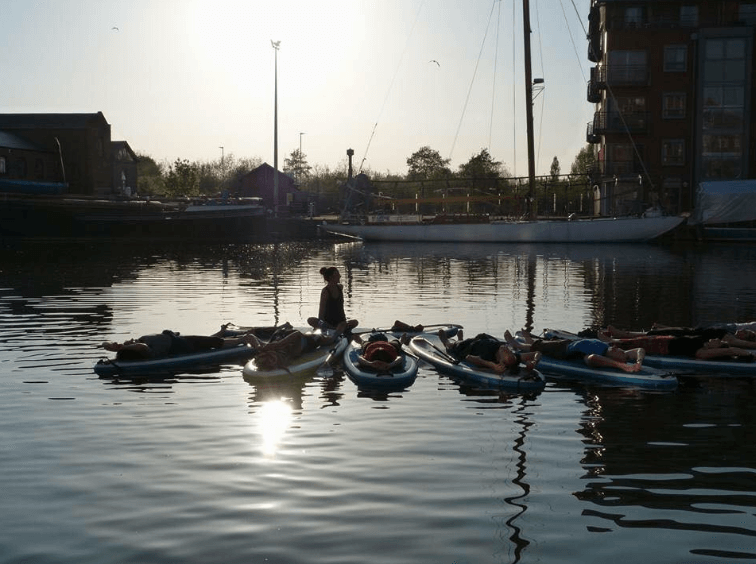 Starting on the River Severn, portaging through a country lane and back up the Sharpness Canal finishing in Gloucester’s Historic Docks. This can be tailored to wants, needs and weather conditions. 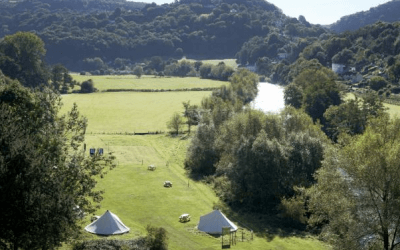 Group bookings for families which can be tailored to your needs. Special outfit for the Stag/Hen. Always ending at a pub. If group is more than 8, please book well in advance so we can arrange for another instructor. 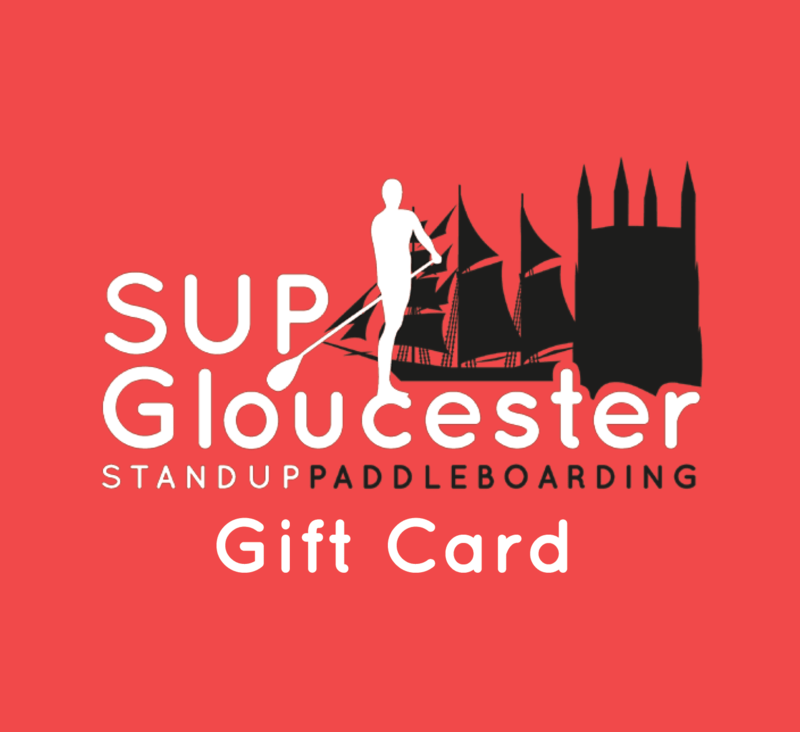 Why not buy somebody a lesson to get them started in this fantastic sport? 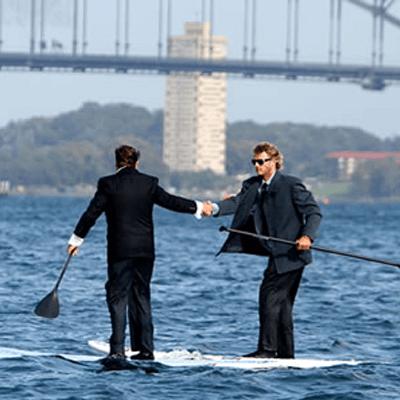 If they have some experience, check out our events page and book them on to something more challenging! CHECK OUR UPCOMING PADDLES BELOW AND GET INVOLVED!